The Albatros Club App is individually adjusted to the corporate design of your club and provides your customers with a time and location-independent access to your offers. Apart from the adjustment of the Albatros App for iPhone and Android to your design, our services include the handling and set-up of the App in the AppStore. Your customers can download the App via their smartphones. Through a click on the icon in your app, which might be for example your corporate logo, members and guests can register and are directed to your individual homepage. Your services, tailored to your color scheme, are accessible via the main menu. Operation of the software is easy because typical iPhone or Android functions are used. Under “Tee Times”, your customers can see the current flight status and can book free tee times at available tees for themselves and for further members or guests. Depending on the customer’s security settings, the customer’s name is displayed or he or she receives an SMS or e-mail confirmation. An overview of all reservations is listed under “Activities”. Courses with “Professionals”, with rental items or “Driving Bays” can be easily reserved, too. In addition, the App user can conveniently carry out registrations for “Tournaments” or “Events / Courses” and take a look at current start or result lists of each tournament played. 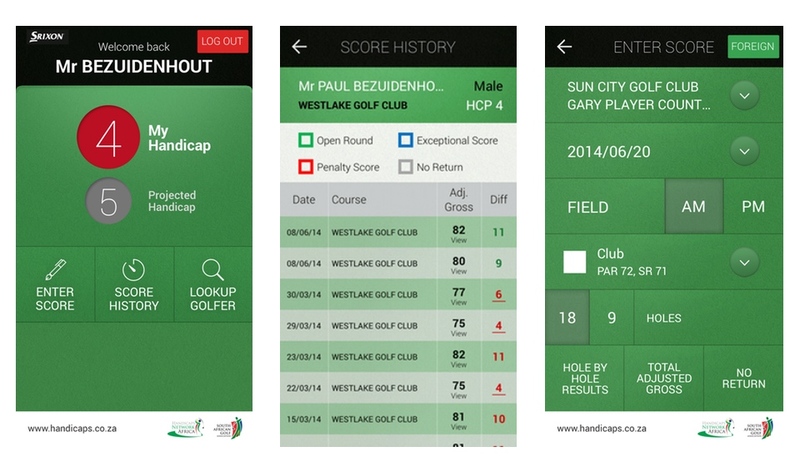 The mobile digital score calculator as well as the master data sheet make the App very attractive for customers. If you actively maintain the area “News”, a regular use of the App will be even more interesting and you can easily and quickly inform about golf club news. Let your creativity run free! In case that you have one or several “Webcams” on your course, integrate it into the App in order to provide the best weather information. Inserted advertisements can be used in the app for sponsoring or exclusive partners. The Gut Thailing App by Abaltros – a great success from the very start. 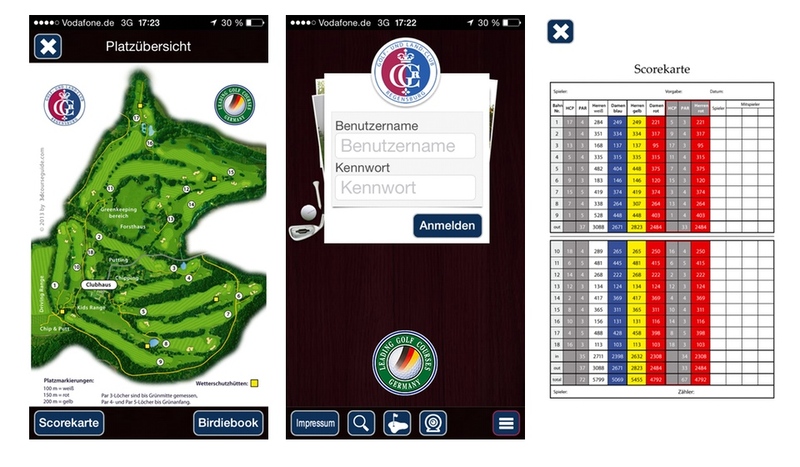 The Golfclub Regensburg offers its members the top service of an individual “GCRegensburgApp”, developed by Albatros and including an individually designed course guide. 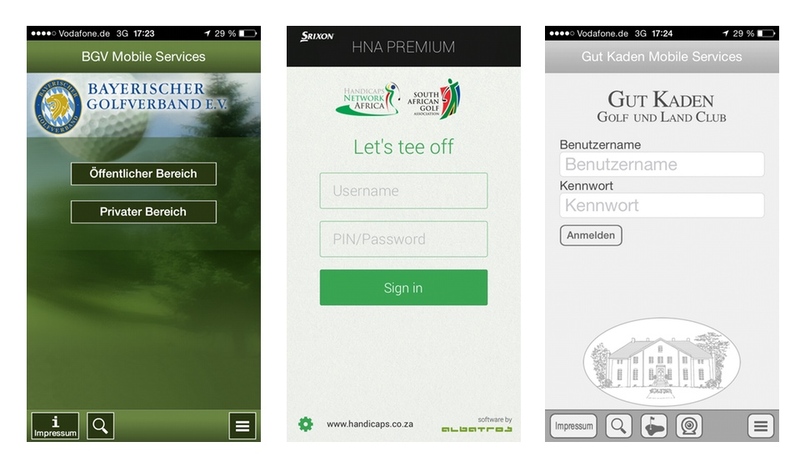 Opt for your individual Golf Club App for iPhone and / or Android today! We are happy to prepare an offer free of charge and without any obligation.